Creative truly lives up to their motto of Do Good | Be Local. They have been an amazing Pepper Partner for many years providing; Design work, Awards, Merchandise and Marketing help. Overall / Masters’ / Age Group / Clydesdale Awards. Overall. 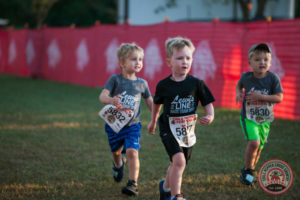 First-place overall male and female finishers will receive a custom Chile Pepper award, $15 ChileBucks (good for any Festival Merchandise), and a $50 gift certificate. Second and third-place overall male and female finishers will receive $15 ChileBucks and a custom Chile Pepper award. Masters’. The first-place male and female in Masters 40+, Grand Masters 50+ and Senior Masters 60+ will receive a custom Chile Pepper award, $15 ChileBucks and a $20 gift certificate. Each second and third-place male and female finisher in the Master’s categories will be awarded a custom Chile Pepper award piece. Age Group. Both men and women in U10, 10-14, 15-19, 20-24, 25-29, 30-34, 35-39, 40-44, 45-49, 50-54, 55-59, 60-64, 65-69, 70-74, and 75+ age groups will be awarded with $15 ChileBucks for first place, plus a $20 Jose’s gift certificate. Second through fifth place in each age group will be awarded with a SURPRISE. Clydesdale Division: Awards will be presented to the top three under-40 and top three 40+ finishers. The Clydesdale Weight division is designed for male-only runners weighing 190+ pounds. 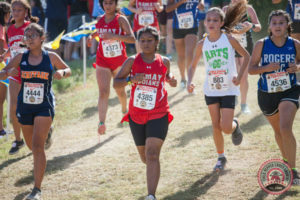 Runners may compete in the Open or the Clydesdale division, but not both. Give the lightweights a chance. Home of the Under 12 World Championship of Northwest Arkansas. Overall Battle for Quickest Pepper kid with 2 year age groups; 5 and Under, 6-7, 8-9, 10-11, 12 and Over. All Under 12 finishers receive a Chile Pepper keepsake. The Overall First Male and Female Finishers receive a Timex Watch. Overall. 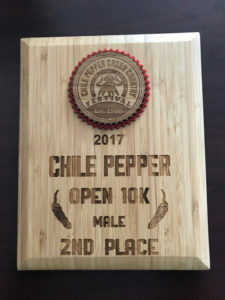 First-place overall male and female finishers will receive a custom Chile Pepper award, $15 ChileBucks (good for any Festival Merchandise), and a $20 Jose’s Gift Certificate. 5K Age Group Awards: 1st, 2nd, 3rd Place for men/women in U10, 10-19, 20-29, 30-39, 40-49, 50-59, 60+. Individual. First-place male and female will receive a custom Chile Pepper plaque and a $15 ChileBucks (for Festival Merchandise). Each male and female runner-up and third place finisher will be awarded $15 ChileBucks and special Chile Pepper plaque. Places fourth through tenth will receive a $15 ChileBucks. Teams. First, second and third-place male and female teams will receive plaques for University Division 1 and Collegiate Divisions. Individual. First place male and female winners will receive a Chile Pepper plaque. Second through fifth place male and female finishers will receive plaques. Sixth through fifteenth will receive plaques. Teams. First-place male and female teams will receive a Unique Chile Pepper Themed Trophy. 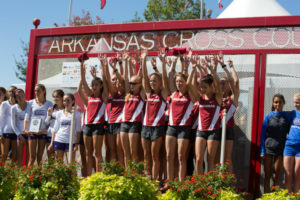 Second and third-place male and female teams will receive plaques. Teams. First, second and third-place male and female teams will receive plaques. Individual. First place male and female winners will receive a Chile Pepper plaque. Second through tenth male and female winners will receive plaques.